I've been huge fans of the Instax camera for a long time and when I heard Fujifilm had come out with a new printer, I couldn't wait to get my hands on it and come up with some crafty photography tutorials for this week's Craft Test. 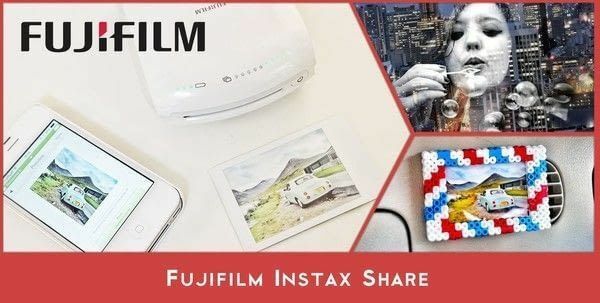 The Instax Share connects to your smart phone so you can print existing shots instantly and works with the same film as the Instax camera, so you don't need to buy a new stash if you've already got some at home. It's small and compact, which makes it great for travel and would be ideal at a party or wedding, letting your guests print shots to take home like a mobile photo-booth. My favourite thing about the printer is being able to turn any existing shot into a print, as there have been so many times I've kick myself for not bringing my Instax camera along to an event. It's also ideal for photography pros, who like to get creative, use filters and edit their shots when they get home. Inspire yourself to take more adventures with a clip-on Instax photo frame for your car. It's easy to make and you'll be able to put your new shots on display instantly while road-tripping! Don't settle for regular selfies anymore! Get creative with double exposure techniques and print an incredible portrait. 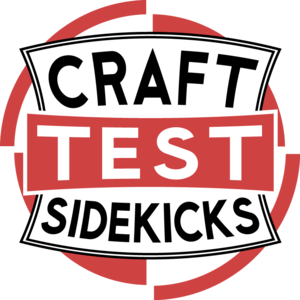 Want to become one of our Sidekicks and try out awesome products for Craft Test? Send us a message!